In Australia, before there were really only two players in the small business accounting software market, MYOB and QuickBooks with their traditional software. However now, there are many more providers entering the market. I have prepared a comparison of some of the top accounting providers below. Today there is new accounts software providers like Xero and Reckon and now even Quickbooks online and MYOB have come on-board with fresh new products for managing your business accounts and books. These providers now provide bookkeeping online and offline for sole traders, including preparation for business activity statements (BAS) lodgements for small business and invoicing software. This books software are also scalable for bigger companies, so if you grow quickly you already have more options. Quite often , this new software’s are hosted in the cloud and do many tasks including maintaining your invoices, reconciling with your bank account and recording book keeping for you. Many of these more traditional providers mentioned above have been doing books for a while, but now have upgraded their software to make it more flexible. Now, you can make use of the new accounts software or apps anywhere on the go with your ipad, smartphone or desktop at home. If you are looking for software online for book keeping or accounting to do it yourself or with help from your accountant, then there are some good options available for you today. New technology has made these book keeping programs and tools easier to use. If your book keeper or accountant does not have access to the same software that you use, you could always export the books and then take it to him for any more technical or advanced accounting that you need for him to look at. I have this year purchased a few online book keeping + accounting software memberships for my own use and also trialled few of them to write this review so that you can benefit from my review. This review is not in-depth, but covers and compares mainly the basic features needed for sole traders and small business accounting and also price comparisons for membership/subscription. Thankfully most of the new packages for these accounting programs allow you to do your book keeping yourself or even share the program access of your books, so that your accountant can also access/check and submit it. There are two ways you could use most new bookkeeping/accounting tools, if you’re a small business or sole trader, you can either buy the software in your name and share access with your accountant or then you can let your accountant buy the software or create a account for you via their accounting portal. From online discussion on forums, they have been instances where some accountants have refused to release access to their clients books, as the accountant is the main registrant for the book keeping software, so if you think this could be a problem then make sure you register your accounting software in your name (register as a subscriber with xero) and then give access to your accountant. This way you will always have full access to your books without anybody being able to block you from it. If you’re a small business then you will probably need to do invoicing, bookkeeping, billing, expense recording. The choice you need to make is do I hire an accountant or do i do it myself. With today’s new advanced software, you could easily give it a go yourself and if it doesn’t work out, you could always hire an accountant or bookkeeper. The first thing you need to figure out is, If your accounting needs simple or more advanced features. If you needed software to just produce invoices, record expenses, and do book keeping tasks then you can do it yourself with this online accounts software. If you need to do much more than that like claim deductions, depreciation calculations etc , you can still use this software, but check with your accountant if they will accept the data from your accounting software or be able to access it to complete the more complex bits for you. We will list the prices and cancellation fees for these services so you can make an informed decision before taking the plunge. With so many new software’s and so many different features in these accounting programs, how do you choose the right one? Feature and price comparison of software is given below. Most of the accounting programs featured below has different price options based on the package ore membership that you purchase. The reason why I like and recommend this software is because it has a flexible system in its pricing and features for its accounting online package. 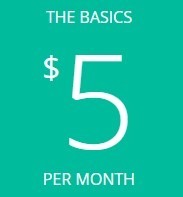 You can start as low as $5 a month with their basic package and then upgrade with needed features as you go. They have add ons that you can add to your basic service if you need them. Add on’s like invoicing ($3) and bank connection ($3) are cheap, so even if you add one these two to your basic $5 charge, you will end up with just $11 a month for the service. · Invite your team members and accounting professionals any time you like. Their standard plan is $50 a month and Premium plan is $60 a month. Get more details here while Xero is good accounts software for small business and sole traders, but I hate the fact that their pricing between US and Australia differs so much. 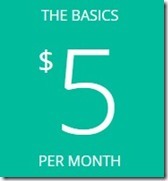 Xero has a starter plan FOR USA which is currently priced as low as $6.30 a month (normally $9 for a month). If you are registering with XERO it is recommended that you register as a subscriber to have full access to your account. MYOB Australia’s Most popular small business accounting software is “MYOB essentials” for $35 a month (payroll for one) and “MYOB AccountRight Plus” for $85 a month. This Essentials online software can run on your desktop pc or mobile smartphone or tablet and features are given below. · Produce instant reports on PAYG, GST and BAS. · Invite your accountant or bookkeeper into your accounts to check your numbers. MYOB has been in the game for long with their traditional offline desktop software, which now they also have this online version, which is cloud accounting for most small business and accessible from most devices anywhere. They also have a starter plan for $25 a month. Intuit’s flagship accounting product is QuickBooks Online is built for small and startup businesses and can be used by sole traders as well. New technology in these accounting packages allows you to be connected and issue invoices on the go. They allow you to also record your expenses on the go to claim tax deductions and lodge your returns. Click here to try out Quickbooks online. Some of these providers provide some basic tutorials videos to use their software. You could always search on youtube for more training material. Learning platforms like Lynda.com also provide training in use of software with video training on their website You can also join or register with the providers website support or Q and A channel. Reckon has their online support community site where members help each other out as well as the official reckon support staff. You could also join other accounting and finance online forums or community boards. Most online providers have packages that have a ‘BAS report’ that can be generated with a few clicks of the mouse and this report mimics the layout of the BAS form so you can even do away with paper if you like and file it electronically via a feature called SBR (Standard Business Reporting), the Australian standard for business-to-government reporting). You don’t get all features with a membership and have to pay more for extra features. With some software it is still recommended to check your bank reconciliations the first couple of times just to make sure its all good, when you import your business transactions from bank account into software. Not all MYOB packages can be used with Mac computers, so please check if your package is compatible with a mac computer or device before purchasing from any service provider. Most of these software’s, today are hosted on the cloud – which means you can login into your software from your smartphone, Ipad or desktop at home and update details anytime and anywhere and this makes it super convenient. Cancellation by service provider can be done if you violate their terms of service, but this normally happens only if you have done something seriously wrong to their software or website. Users are also allowed to cancel their membership or registration according to the service provider terms and rules, which is different for each service provider and so we can’t cover this in details. Most of these service providers (Some links: QuickBooks , Reckon , MYOB , XERO ) provide a cancellation button from within their admin area when you login This can be had from the service provider on registration or from their website. It is recommended that you export all of your data before cancelling your subscription with any of the accounts service provider. 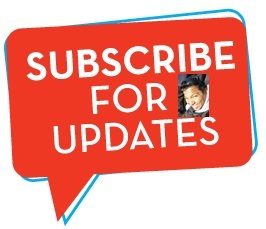 *Accounts Hosted can be purchased on an annual or monthly subscription. New customers can sign up for one month use only and you pay on a month by month basis. Annual licence holders who wish to move to monthly pricing must cancel no later than 30 days before their expiry date. Xero will send you a final bill after you’ve cancelled their subscription trial is free. You could always email them to see what your charges could be before cancellation. Instead of cancelling, you can reduce your monthly Xero subscription fee by downgrading your pricing plan. You can change back to a bigger plan at any time. Single Touch Payroll (STP) is a government initiative to streamline business reporting obligations. STP has already started for employers with 20 or more employees (1 July 2018 being the mandated date). It will be expanded to include employers with 19 or less employees from 1 July 2019, subject to the legislation being passed in parliament. Small and large businesses with will need to seek and get accredited software providers in place or seek deferrals. Payroll software providers who have the intention of delivering Single Touch Payroll enabled solutions will be rolling out soon with some large accounting software providers already having products in the market.Below are some single touch payroll products. This is not an in-depth review , but I hope to write one soon. Hope I have covered enough in this article for you, to get a brief over view of features and price comparison for popular Australian accounts software service companies. If you have tried any of these software or I have left something out that is worth mentioning please leave a comment below or get in touch with me via the contact page < Over here. The Business Accounting and Bookkeeping Software you have listed are great. This type of great guidance is very helpful for those who are looking for accounting software to their personal or business need. I personally use Xero Accounting Software and also recommend to my clients. The business accounting tools are very helpful to place your business at high. I think it will also helpful for your business growth. I’m so glad I stumbled on this page! I’d been doing some research to pick an accounting package, and then I found in the comments here the advice to ask your accountant. So, I emailed my accountant and within minutes got the response that they support MYOB for their clients, at a great discount. Whatever it was, the most important thing is we provided what accountants and Bookkeepers need for them to work and produce accurate results. Great comparison between no of business accounting software. I was enjoying while reading your article. Accounting software is very good to manage accounts and other things. Thanks for sharing all this information with us. Hi,I check your blogs named “The best Australian accounting software for sole traders and small business in 2016 | Digital Grog | Technology Blog Australia” regularly.Your humoristic style is awesome, keep up the good work! And you can look our website about proxy free list. Ya, I am completely agree with the fact that price, features and flexibility are the 3 important factors that everyone should consider while choosing both accounting and bookkeeping software. This condition is not only applicable for Australia but also applicable across the world. Well, bookkeeping and accounting are two different tasks. Bookkeeping is the process of recording transactions where as accounting is responsible for interpreting, classifying and summarizing the financial data. 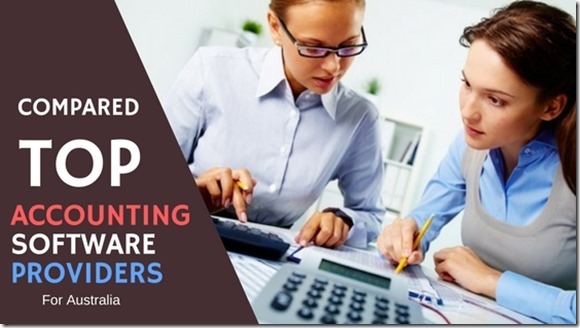 Your blog gives a comparative idea between different bookkeeping and accounting software in Australia. I had idea about quickbooks but after going through your blog I earned enough knowledge about other software. So, I am appreciating your blog and would like to say thanks for such lovely post. I used Reckon but I am looking for other accounting software. Would it be easier if I switch accounting softwares early on the stage for a start up business? Or is it ok to switch even if we are like 2 years old? I blog quite often and I really thank you for your ideas. I was searching for something like this and really wish I’d seen this a couple of months ago! I am looking for an Australian accounting software that allows me to do invoicing, run profit and loss, balance sheet, trial balance and GST, is non cloud and has no annual running costs just a once off cost. Does not need payroll at this stage. Does one exist or do I need to produce it myself? Its a great thing that you have this kind of content. Its a great help to someone whose planning to purchase accounting software to help them with their business. I and my team personally recommend Xero Accounting Software as we used it at our Accounting and Bookkeeping firm. Can i get reckon software cheaper from my accountant.. how does we both using it work ?? For the longest time I had been looking for an accounting software that had all the functionality I needed. One night, I saw the SlickPie commercial and I decided to give it a try. After a year, I can honestly say that it is the soul of my business. It’s easy to use and different functions make accounting for my small business so simple. It saves me so much time and stress, I love it. It’s 100% free accounting software.